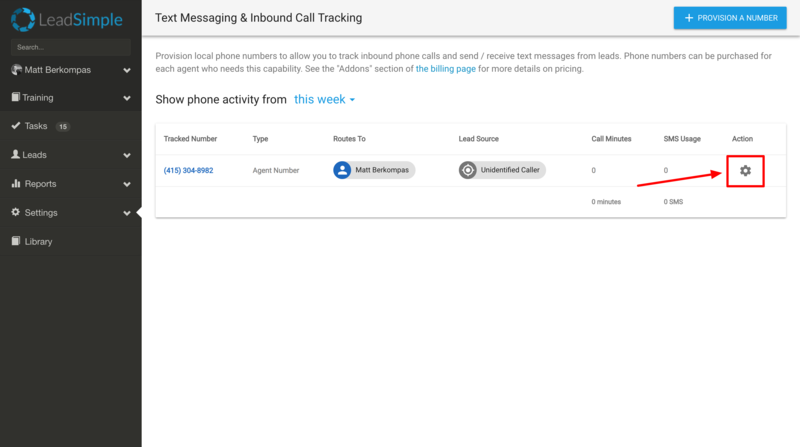 If you've enabled text messaging and inbound call tracking, you're able to receive inbound phone calls through your LeadSimple phone numbers (See this overview article for more details on this addon if you aren't familiar with it). You may find that the greeting/voicemail messages LeadSimple plays to leads who call in to be unsatisfactory. While they're great as defaults, customizing them to your company can add a nice touch. That's why we allow you to record and insert your own. Note that this can only be done on a number-by-number basis currently. There are no global message settings for inbound phone numbers. First, navigate to the Inbound Phone Numbers page under Settings. 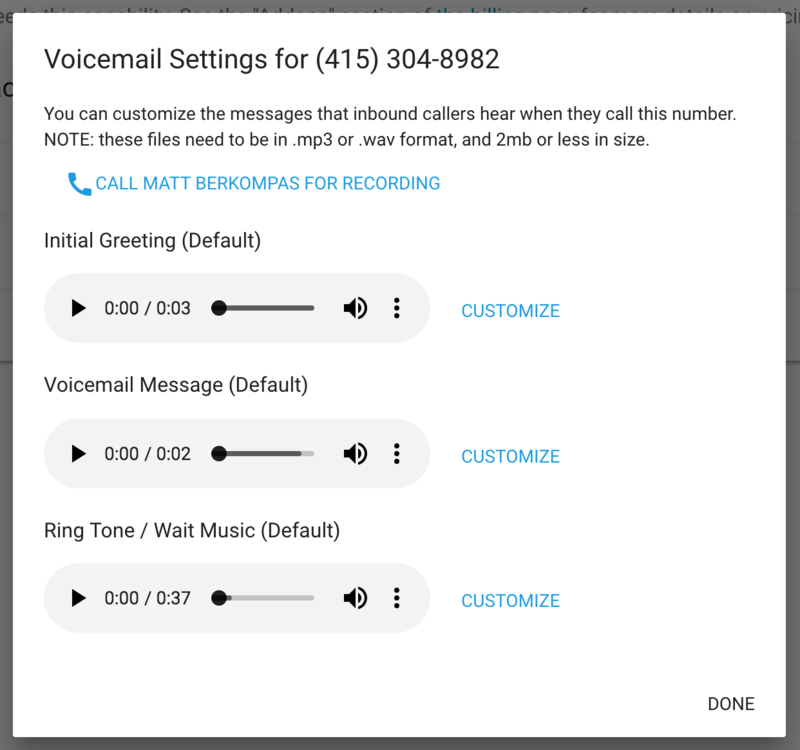 Now click the settings icon of the inbound phone number in question and select "Customize Voicemail" from the three options. This will open a dialog window with three recordings. Initial greeting (by default it says "This call may be recorded for quality assurance and training purposes"). Voicemail message (by default it says "Hello. Please leave your message after the tone"). Ring tone or Wait music (by default it's just a regular ringing sound). Next, select the message you want to replace. There are two ways to replace the recording. Manually record and upload: Refer to the following articles to manually record a message: Recording audio (Mac), Record Audio (PC). Once you've recorded it, make sure the file is 2mb in size or less and upload it to LeadSimple by clicking the "Customize" button in the dialog, selecting the file and clicking "Upload". Record and upload via phone call (EASIEST WAY): Click the "Call <name> For Recording" button and follow the prompts to select the message you want to record, record it, confirm and save. This is by far the simplest way to customize the message. Once you've recorded and uploaded the desired messages, leads will immediately begin hearing them at the appropriate times when they call the inbound phone number you edited.